We have very recently seen the launch of two websites for The Air Ambulance Service, one for their local air ambulance services, and the other for the Children’s Air Ambulance. This latest project comes as Ultimate have been lucky enough to work with The Air Ambulance Service over the last couple of years to design a new website to give brand presence online and help push toward more donations. The Air Ambulance Service run two services, the local air ambulances for Warwickshire, Northamptonshire, Derbyshire, Leicestershire and Rutland, and the Children’s Air Ambulance. Both services were previously held on the same website. As the profile and fundraising activity for the Children’s Air Ambulance increases and it was becoming clear that a joint website was no longer appropriate, the decision was made to make the split. We started off by working out which pages of the main site belonged naturally to each site. This provided a clear and coherent sitemap for each brand, which allowed us to establish a clear and effective user journey for each brand. Then, working very closely with the client, we spent time creating brand new wireframes for certain core pages on the site. Using data from the previous website to educate us as to the most effective aspects, and which features and functionality required thought and redesign, we were then able to implement the new pages in a seamless movement. We then set about the splitting of the domains to form two separate sites, with a strong consideration of splitting the donation facility and enabling the CMS to clearly identify the separate brands making it as easy as possible for the client to manage and change content. The end result is two separate websites to allow each brand to hold its own space. While there are links between the two sites to allow users to move between the two brands should they wish to, the navigation has been refined to allow clearer movement on and around the pages for each brand. The client remains in full control over the content, imagery and structure of the site which is critical. And, working with our in-house team, is able to make educated, data-driven decisions for any further updates. 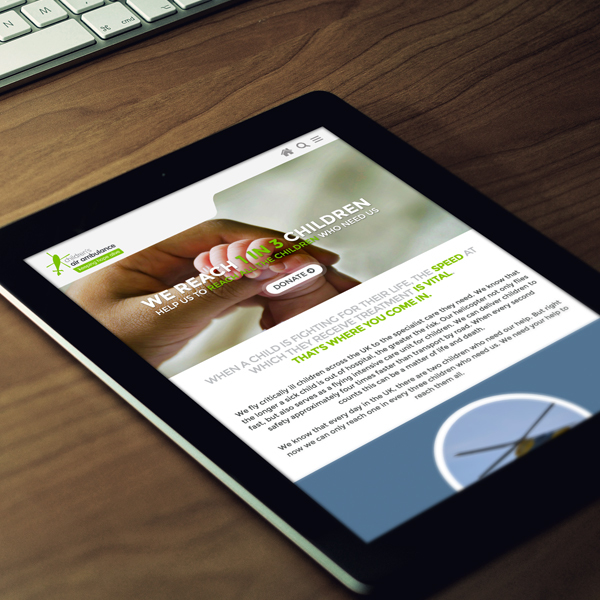 This was a major project, effectively launching 2 websites at the same time, but with Ultimate’s expertise and clear communication the launch went through on time, on budget and with no downtime or drop in donations.